A filing cabinet is a piece of furniture used to store and organize documents in homes and businesses. 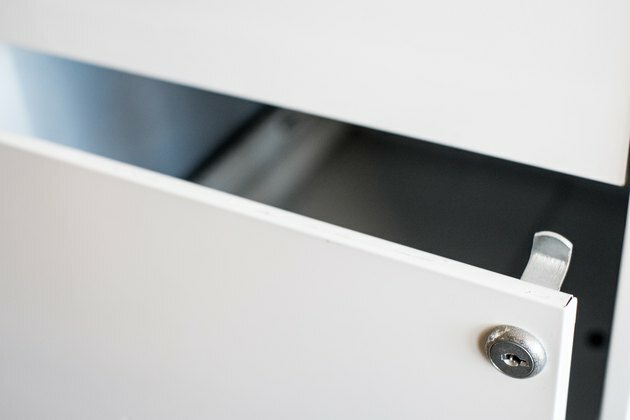 Many of these cabinets come equipped with locks to help keep documents secure, and may include cam or plunger-type locking mechanisms. 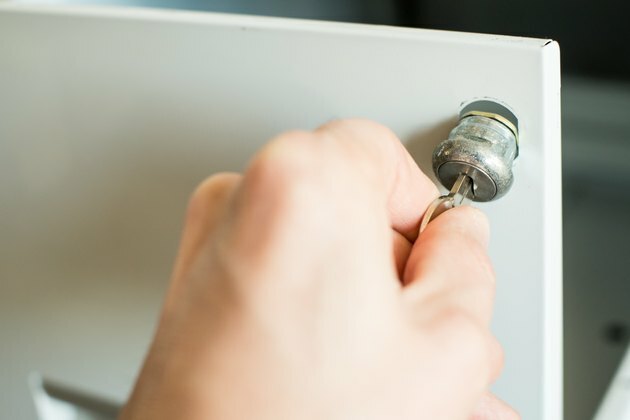 Quite often, the owners of these cabinets have to replace these locks due to lost keys, or to prevent unauthorized access in an office setting. 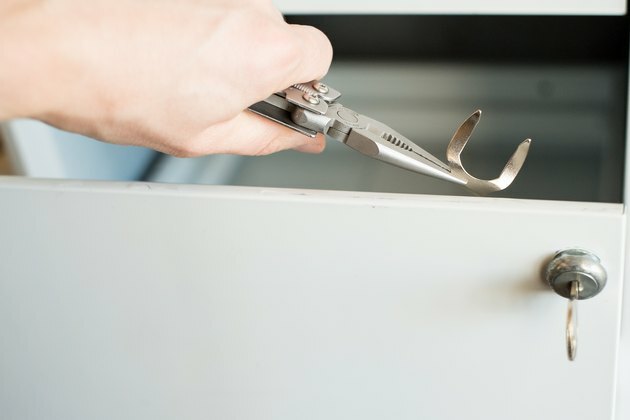 Fortunately, it is fairly easy to replace a filing cabinet lock, even if you no longer have the key. 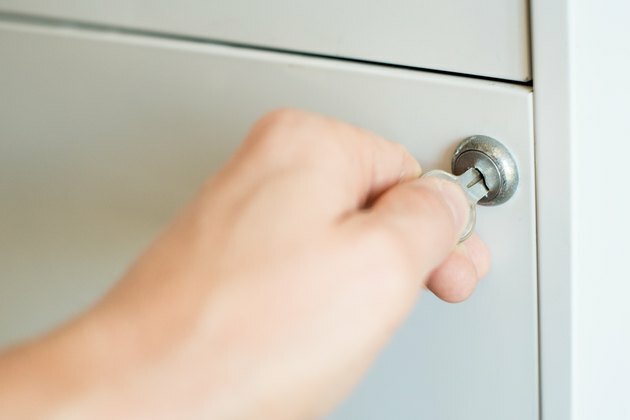 Open the cabinet drawer that is closest to the lock. If you don't have the key, and the cabinet is locked, you have several options. Most of these locks are gravity-based, so sometimes turning the cabinet upside down will allow you to open the drawer. If not, you can drive a regular drill bit straight through the cylinder of the lock (the part where the key goes). This should be done carefully to avoid damage to the cabinet itself. 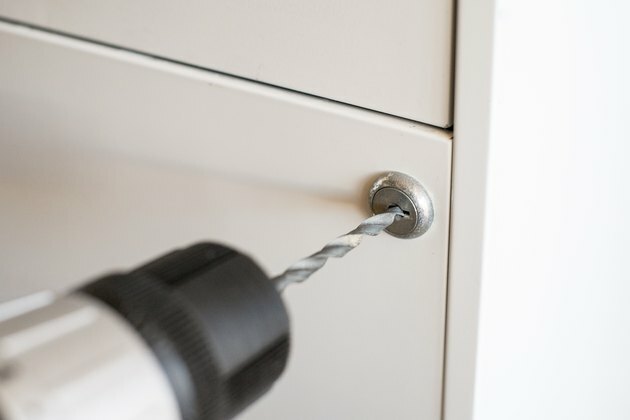 Once you've drilled the lock, the drawer should pull open easily. Grasp the C-shaped clip at the back of the lock with pliers. Once you've removed this clip, you should be able to slide the lock out of the opening. Install your lock. Specific instructions may vary, but the general procedures are as follows. Place the key in the lock and make sure it is in the unlocked position. Insert the new lock into the opening, making sure that the keyway is upright and the cam (tailpiece) is pointing down. Hold the C-clip flush against the inside wall of the cabinet. Insert the two prongs on the clip into the pre-drilled holes on the lock body to secure it in place. 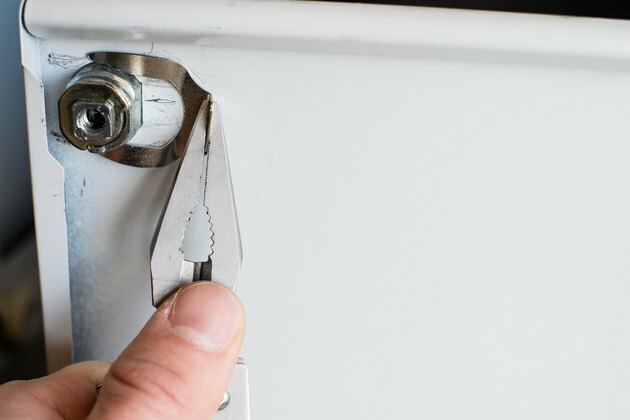 Ensure that the lock bolt on the back of the lock aligns properly with the locking mechanism in the cabinet. Use your key to test the lock before closing the drawer.